Writing On the Air is broadcast each Wednesday from 6-7 pm Central from the KOOP Radio studios in Austin, Texas. You can listen online from anywhere at KOOP.org, TuneIn.com and Radio Free America. If you’re in Austin, just tune your radio to 91.7FM KOOP. Recent episodes are available on Radio Free America. We hope you’ll scroll through our previous episodes below. You can listen to the audios from each page, or head over to iTunes for our podcast. You can also keep up with on Facebook and Twitter. Greg Garrett is the author of over twenty books of fiction, nonfiction, memoir, and translation. 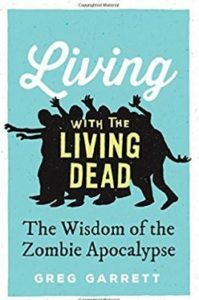 His latest book is Living with the Living Dead: The Wisdom of the Zombie Apocalypse (Oxford University Press, USA – June 2017). Greg’s most recent novel, The Prodigal (2013, written with the legendary Brennan Manning), received a starred review in Publishers Weekly. His first novel, Free Bird, was chosen by Publishers Weekly and the Denver Rocky Mountain News as one of the top debuts of 2002. His other novels are Cycling and Shame. Other books include his spiritual autobiography Crossing Myself (Morehouse), Entertaining Judgment: The Afterlife in Popular Imagination (Oxford University Press), and We Get to Carry Each Other: The Gospel According to U2. (Westminster John Knox Press). BBC Radio has called Greg “one of America’s leading voices on religion and culture,” and he has written on such topics as spirituality and suffering, film and pop culture, U2, Harry Potter, faith and politics, and contemporary Christianity. 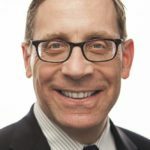 Greg has written for Patheos, The Huffington Post, OnFaith, Salon.com, The Washington Post, Reform, The Tablet, and other print and web publications in the US and UK,. Greg’s work has been covered by publications, web media and broadcast media including The New Yorker, USA Today, The New York Times, The Christian Science Monitor, BBC Radio, BBC Scotland, NPR, CBS Radio, msnbc.com, The National Review, Poets & Writers, Commonweal, Mens Health. He has spoken at universities, churches, seminaries, conventions, and retreats across the US and Europe, including appearances at the American Library in Paris, Cambridge University, Kings College in London, Villanova University, and the Washington National Cathedral. 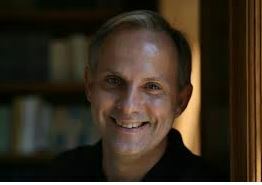 Greg is a member of the Texas Institute of Letters, a Fellow of the Cathedral College of Preachers at the National Cathedral in Washington, DC. Greg is a Professor of English at Baylor University, where he teaches classes in fiction and screenwriting, literature, film and popular culture, and theology. Greg holds a BA and MA from the University of Central Oklahoma, as well as a PhD. 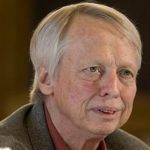 He also received a Masters of Divinity from Austin’s Episcopal Theological Seminary of the Southwest, and is a licensed lay preacher at Austin’s St. David’s Episcopal Church. He lives in Austin with his wife Jeanie and their family. When humankind faces what it perceives as a threat to its very existence, a macabre thing happens in art, literature, and culture: corpses begin to stand up and walk around. The dead walked in the fourteenth century, when the Black Death and other catastrophes roiled Europe. They walked in images from World War I, when a generation died horribly in the trenches. They walked in art inspired by the Holocaust and by the atomic attacks on Japan. Now, in the early twenty-first century, the dead walk in stories of the zombie apocalypse, some of the most ubiquitous narratives of post-9/11 Western culture. Zombies appear in popular movies and television shows, comics and graphic novels, fiction, games, art, and in material culture including pinball machines, zombie runs, and lottery tickets. The zombie apocalypse, Greg Garrett shows us, has become an archetypal narrative for the contemporary world, in part because zombies can stand in for any of a variety of global threats, from terrorism to Ebola, from economic uncertainty to ecological destruction. But this zombie narrative also brings us emotional and spiritual comfort. These apocalyptic stories, in which the world has been turned upside down and protagonists face the prospect of an imminent and grisly death, can also offer us wisdom about living in a community, present us with real-world ethical solutions, and invite us into conversation about the value and costs of survival. We may indeed be living with the living dead these days, but through the stories we consume and the games we play, we are paradoxically learning what it means to be fully alive. You can keep up with Greg on Twitter and Facebook.